These daring, somewhat helter-skelter Delaware militia, were under the command of Brigadier-General Caesar Rodney. Rodney was a signer of the Declaration of Independence who would go on to be President of Delaware from December, 1777, to November, 1781. Like Paul Revere, Caesar Rodney is famous for a midnight ride. Rodney's ride ended up at the doorstep of Independence Hall where he cast the decisive Delaware vote for Independence. 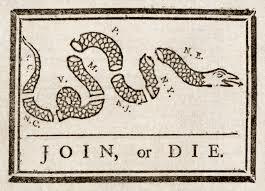 On June 30, a motion for Independence had been put forward with nine colonies voting for independence, two voting against, New York abstaining while the Delaware delegates had split their vote. 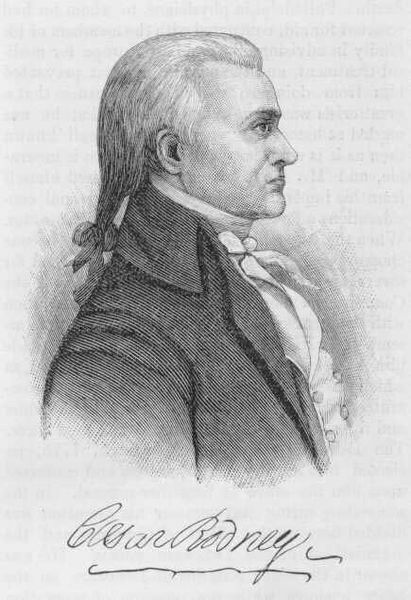 Delaware delegate Thomas McKean was in favor of independence, while George Read voted against. Rodney, also a delegate form Delaware was absent during this vote. While there was technically enough support to carry the motion, the Continental Congress didn't want to go forward and declare independence without unanimous support. Rodney had been away from Congress because his role as a Brigadier General in the Delaware militia, forced him back to Delaware to squelch a Loyalist riot. McKean got word to Rodney that his vote for independence was desperately needed in Congress. All night, as the first of July, 1776, turned into the second, Rodney rode through a thunderstorm. He covered 80 miles and arrived at Independence Hall's doorstep in time to cast his decisive vote. Years later Thomas McKean remembered meeting Rodney at the door "in his boots and spurs." Rodney's vote decided the matter. Delaware was going to war. Once the voting for independence concluded and debate resumed, Rodney is remembered for puncturing the self-importance of the Virginia delegates who believed they were the mighty rock on which independence rested. "Let [Virginia] be of good cheer," he said, "she has a friend in need; Delaware will take her under its protection and insure her safety." "...the oddest looking man in the world; he is tall, thin and slender as a reed, pale; his face is not bigger than a large apple, yet there is sense and fire, spirit, wit and humor in this countenance." It was not, however, an appearance to quicken the heart of a woman, and it is said that Rodney remained a bachelor because Molly Vining, the woman he loved, married a rector — and soon after died.